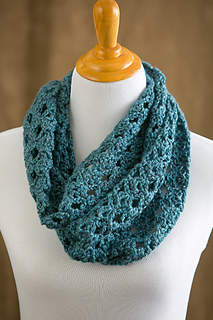 Brave the morning chill in style with this one-skein infinity scarf. Just keep crocheting until you’re nearly out of yarn, sew the ends together and you’re done! Update 6/8/15: Crochet Symbol Chart on a separate PDF now included with purchase!